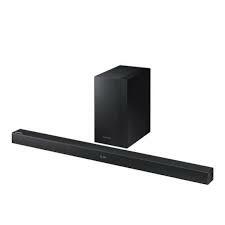 Samsung's latest HW-Q70R and HW-Q60R soundbars feature Harman Kardon certification, and new technology for better sound quality. Click through to read more about the high-quality soundbar. Samsung puts artificial intelligence into the size of an olive with its latest “truly wireless” earphones, writes BRYAN TURNER. Tonight Samsung will kick off the next round in the smartphone wars with the S10 range, writes ARTHUR GOLDSTUCK. For those who like minimalism and tidy desks, Samsung’s new Space Monitor may just do the trick, writes BRYAN TURNER.